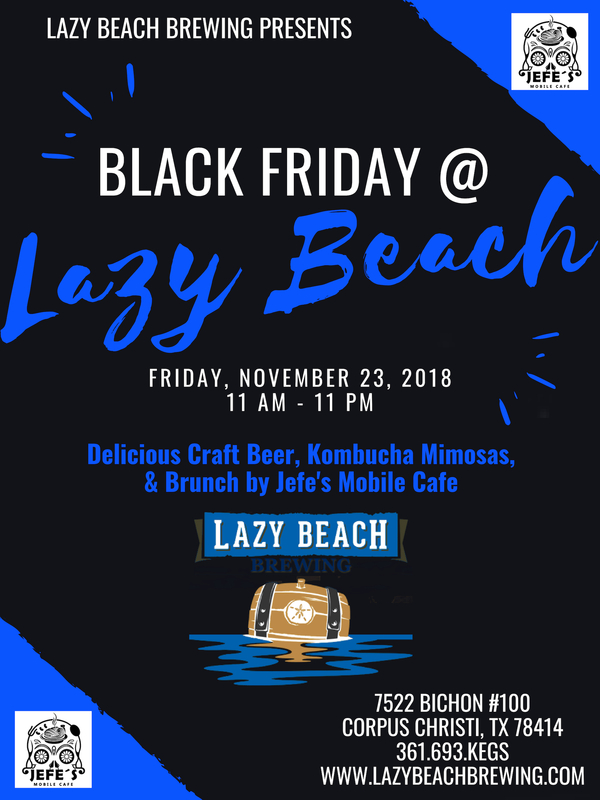 We will be open at 11 am on Black Friday! 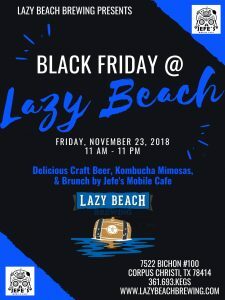 Get your shopping done, then come get lazy with us! Jefe’s Mobile Cafe will be serving brunch from 11-3, then switching over to a regular menu after 3 pm. Got family and friends in town for the holidays? Make sure you bring them to your favorite neighborhood brewery! Taproom is open from 11 am – 11 pm, see yall there!